David faces outsized responsibilities for a seven year old. His father died of AIDS in November, leaving Fain with five children to feed and raise. His two younger siblings have been sent to live with relatives since money and food is scarce. His older brother spent so much time caring for their father that he dropped out of school. 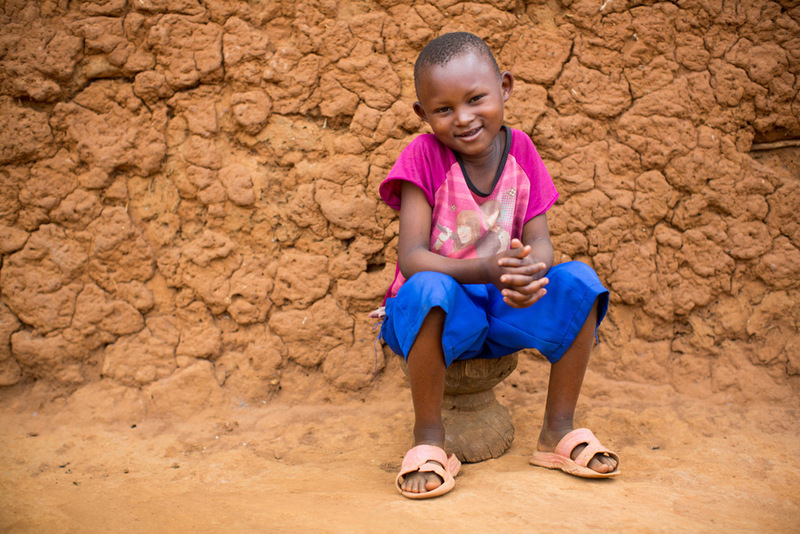 Neither David nor his sister have a sponsor; they are in school only when they can afford the school fees. Fain tries to find agricultural work, and she cares for goats with the promise of one day getting to keep a kid. 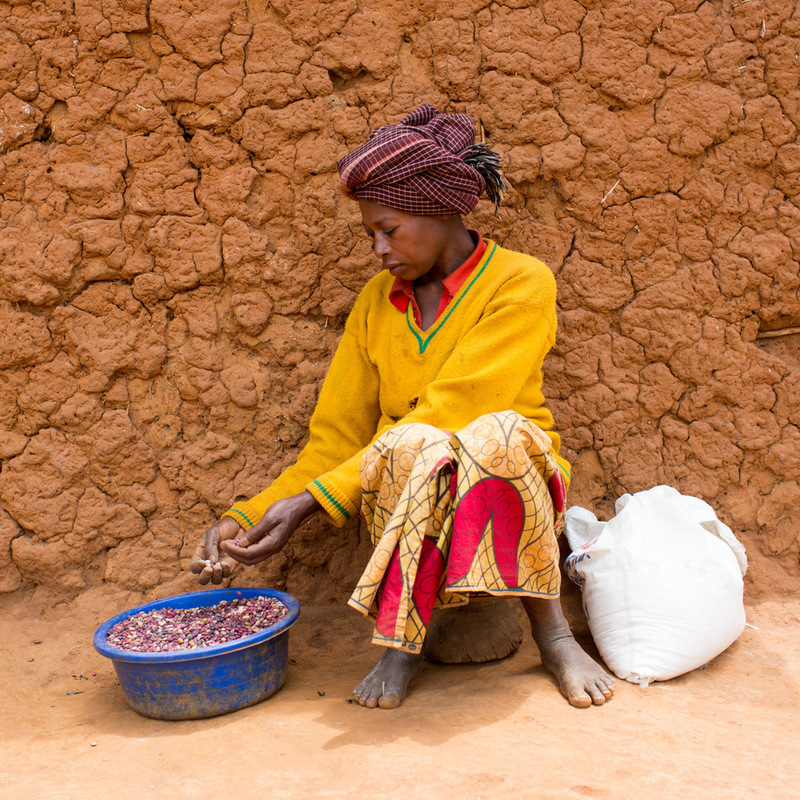 Right now, she has five kilograms of cassava flour and four kilograms of beans left in her house -- the only food she can count on for the future. This will last about five days if they eat once a day. “It breaks my heart that maybe my children think they don’t have a mom that cares," she says of her inability to buy food for her family. "They may think I don't work hard for us to have what we need. It hurts so much. 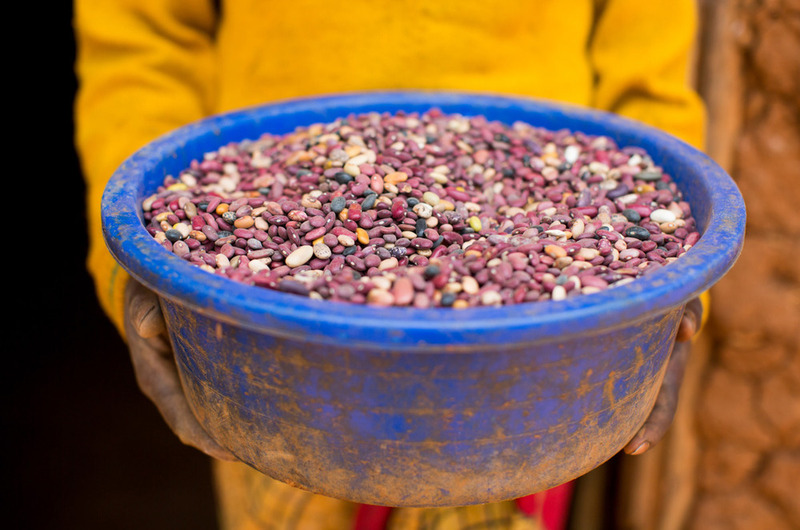 David’s story illustrates the fragility of food security. Many households are one illness, one lost job or one day away from hunger. 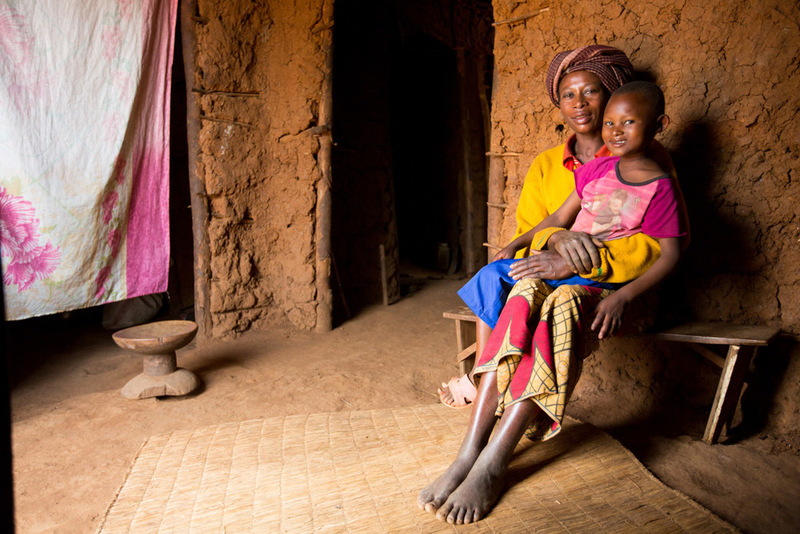 It is estimated that 220,000 Rwandan children have lost at least one parent to HIV/AIDS. But David’s story, at least, is being rewritten; he got a sponsor. He will get a uniform and go to school regularly. He will be tested for HIV and given medical insurance. His sponsor bought his family food, which means they can count on food for five days and one month. For David and his family, food is transformation.